New version of Bforartists available. 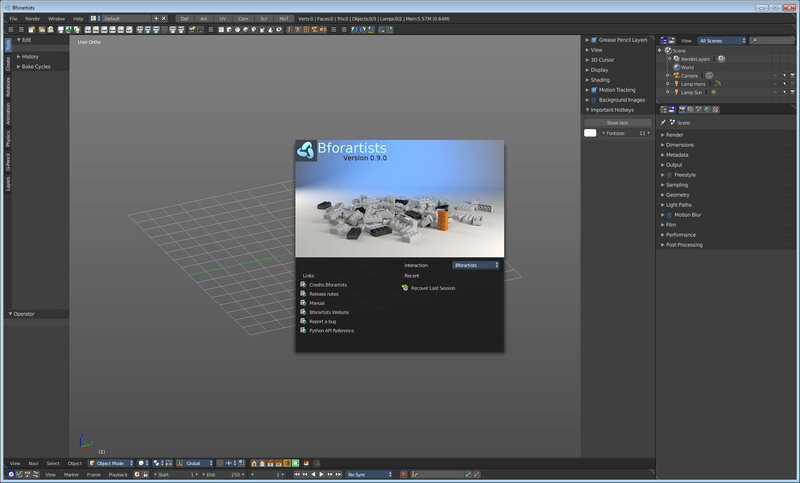 Bforartists Version 0.9.2 is around cleaning up the menus and connecting some loose ends. It adds some more tools to the toolbar editor. We have over 50 new icons. Again quite a few double menu entries were catched and removed. Some more tools made it into the tool shelf. The Toolbar type View is gone, and replaced by the Toolbar Type Mesh Edit. It also brings a few important fixes. The Mac build now compiles. The Player and quite a few other missing things is now onboard too. And we have again some vital changes at the keymap to remove some conflicts and inconsistencies. Most important one is that Move and Rotate in the Viewport is now switched to be consistent with the rest of the editors. Now the Middle Mouse button pans the view like in the Image Editor. And Right Mouse rotates the view. This entry was posted in Allgemein on Wed-12-04-17 by Reiner. 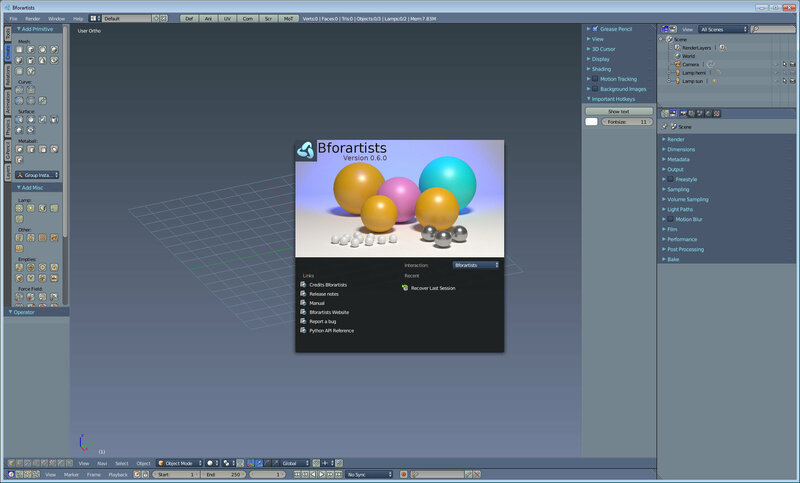 Bforartists Version 0.9.1 is a bug fix release that fixes some show stoppers. Bforartists did not compile at Linux because of wrong Python version. The addons in the Testing category didn’t show. And quite a few addons didn’t work anymore. The hotkey map was here and there flawed. And not loger in sync with the manual. This keymap manual part is also updated to the latest version now. Affected is the chapter 2.1 Bforartists Standard Keymap.pdf . Most important change is that the Q key now toggles the 3D widget. While the former to Q assigned rectangle zoom is not longer hotkeyed. This entry was posted in Allgemein on Tue-14-03-17 by Reiner. 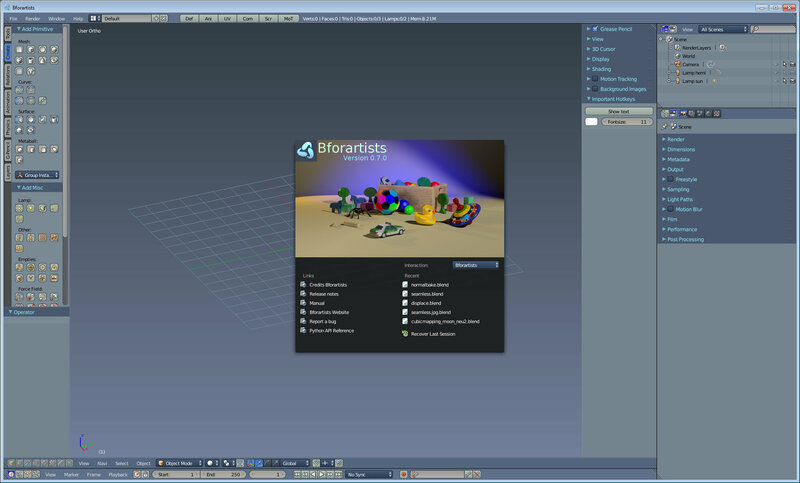 Version 0.9.0 brings the features of Blender 2.78 C to Bforartists. Wich is a big step towards version 1.0. Just some minor changes and rearrangements are missing now at the software. The biggest part will be documentation. And there is a ton of work waiting here. The merge with Blender 2.78 makes the very most issues in the release note. It was necessary to go through nearly every formerly implementation. So don’t wonder that the release log is this huge. Fingers crossed that not too much is broken by the merge. But we also have some changes here and there. The hotkey map gots a few new entries from Blender 2.78. I still have to find out what is what, if those new entries are really necessary. And i have to fix the manual part for the keymap. Another bigger issue is that the toolbar uses internally now the AddonPreferences of an addon to store its props. Which means that you now have to save the user preferences instead of saving the startup file to store the changes. The former implementation made trouble with loading a file. The toolbar gots reset by that. This entry was posted in Allgemein on Wed-01-03-17 by Reiner. The Align View Buttons addon installs a buttonbar to switch between the different views in Blender. This entry was posted in Allgemein on Sat-25-02-17 by Reiner. The server is under an upgrade, and will be temporary down in the next few hours. So don’t worry when you cannot reach the page. We will be back soon. EDIT, the task is done, the page is running at the new server now. This entry was posted in Allgemein on Wed-01-02-17 by Reiner. I have created a new dark default theme for Bforartists since there were quite a few people who disliked the current blueish default theme. 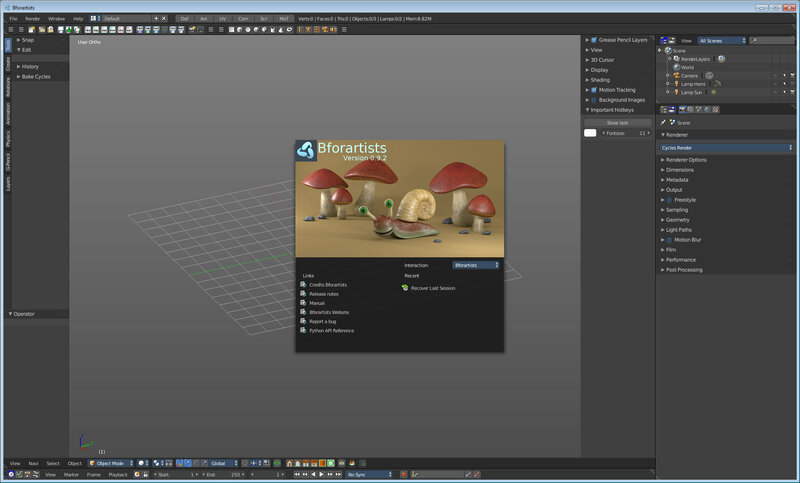 The standard dark theme from Bforartists also works in Blender. So i put it online here too. This entry was posted in Allgemein on Fri-13-01-17 by Reiner. The addon adds a tab in the Node editor with all nodes as icon buttons. It has a few flaws, it runs into Blender limits. But it does what it should. This entry was posted in Allgemein on Fri-16-12-16 by Reiner. Version 0.7.0 is mainly cleanup work in the Properties editor. Quite a few things are hidden in subtabs now when you open a panel. Which makes navigation easier. The rest is a few cleanup things like removed some more double menu entries and placed tools at another location. And the Create Isocam addon is added. The development focus goes slowly away from changes at Bforartists and towards the documentation. A sign that i start to hit the border of what i can achieve. I really start to dig for issues where i formerly simply stumbled across them by just opening Bforartists. And the documentation is also a very important chapter. This entry was posted in Allgemein on Thu-01-12-16 by Reiner. Version 0.6.0 brings fixes to the included addons. Some have quit working since they depended at menus that not longer exists. 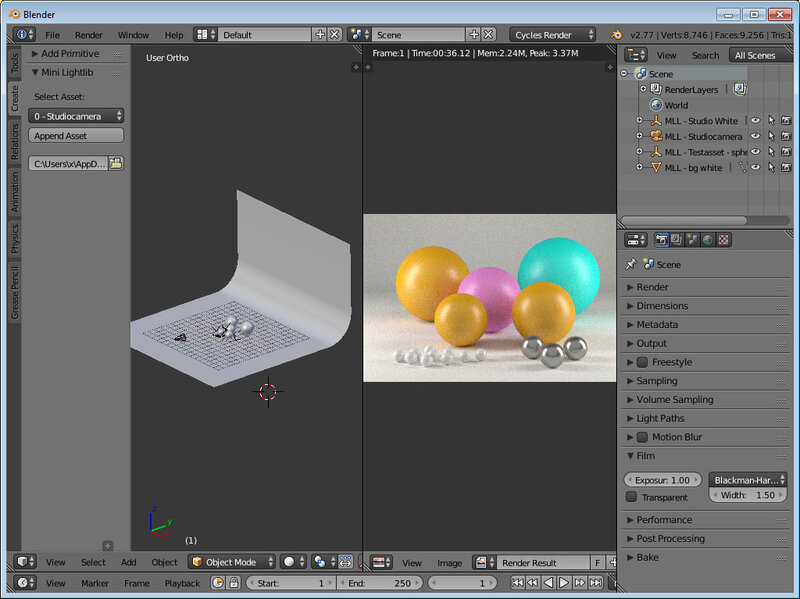 The add menu in the 3D View editor for example. A handful of addons has to be removed since they were not fixable or obsolete. And we have a new addon called Mini Lightlib, which brings some Cycles light presets. And a button row to switch between modes. Another little issue is that some things are now in subtabs. Which makes the panels not look so crowded anymore. The Display panel in the Properties sidebar for example. Subtabs in panels is something that i will do at other places now too. Especially in the Properties editor, which is the next big project. And finally the binaries are packed with the zip file format this time, and not with rar. Not sure if i should keep it that way in the future. The packed file is much bigger that way. And rar is not this uncommon. Anyways, for now it’s a zip file. This entry was posted in Allgemein on Sun-06-11-16 by Reiner. Mini Lightlib is a little addon that gives you some standard lighting settings for the Cycles renderer. It contains for example the classical threepoint setup. But also some basic volumetrics examples. And the needed backdrop for a studio setup. This entry was posted in Allgemein on Tue-01-11-16 by Reiner.